This is Solid copper hookup wire for general wiring that is not subject to repeated flexing. 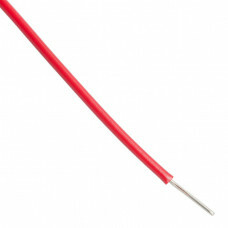 This is also the solid wire size used with solderless breadboards. Tinned to minimize oxidation and ease soldering.